Released just two years after The Blair Witch Project popularized the found footage genre, Gang Tapes was – to my knowledge – the first film to use the approach to chronicle the day-to-day life of black urban youth. It’s not a bad idea. Rather than enhancing the visceral nature of fear and paranormal happenings for the purpose of nail-biting horror, the concept, in theory, is meant to heighten the gritty realism of poverty-stricken, crime-riddled communities, ultimately confronting the audience with tough truths. Of course, I say “in theory,” because Gang Tapes doesn’t exactly reach the potential of that setup. In fact, it misses the mark by a wide margin. To address the positives, the film does a good job of maintaining the continuity of what is intended to be seen as home video footage. Largely shot by a 14 year old boy who is quickly being drawn into the South Central L.A. thug life, scenes occasionally begin and end messily, as actual recordings would. Additionally, there are some decent inclusions involving the kid setting the camera up in his room as he flexes and acts “gangster” for an imaginary audience. However, the commendable material stops there, for outside of the film’s conceptual innovation, Gang Tapes is a tedious and ineffective piece of work. The problem lies in the inability to realistically capture the environment and events of the central child’s life. The film takes pains trying to convince viewers that what they are seeing is genuine by having characters maneuver the camera in an overly awkward manner, but the director’s influence is unmistakably visible. The majority of scenes are painfully stagey, the performances are unnatural and the narrative is too rigorously, “perfectly” structured to come anywhere near mirroring how life actually unfolds. Plot beats and their timing are obvious and after awhile, Gang Tapes begins to resemble a simplistic listing of things that generally happen in the hood (complete with a drive-by retaliation, an initiation beating, a lesson in cooking crack cocaine, the first time shooting a gun and a homie funeral). Opening with the pilfering of a video camera from a car full of unsuspecting college students, Snow on tha Bluff wastes no time getting into the rough landscape of star Curtis Snow’s life. The film takes place in a high crime area in Atlanta called “The Bluff,” and functions more as a ground-level exposé of those who live there than a strictly plotted tale of gangbanging and gunplay. Those elements are certainly present, but they accent rather than define the picture. Snow on tha Bluff is raw, and in this case, that’s a very good thing. Few films manage the level of realism that this one achieves, as half the time it’s hard to tell if what’s going on is entirely fabricated. Several characters eye the camera with genuine confusion, faces are sometimes blurred out and even the most sensational events, such as an ambush shooting and the nighttime raid of a rival drug dealer’s house are handled with such an astounding sense of spontaneity that viewers may still question their fictional nature. The film veers so hard into this kind of realistic territory at times, that I am tempted to call portions of the film straightforward documentary instead of found footage. Despite the strength of its sobering matter-of-fact aesthetic, the film does manage to display a couple of imperfections. The most glaring issue has to do with the use of the found footage. It doesn’t seem to always know what to do with the approach, at times cleverly incorporating the designated camera operator into a scene, while at other times forgetting about that element. During some of the more documentary-like segments, Curtis is followed around by an anonymous cameraman who happens to have a good eye for when and where to zoom as well as what subject is most thematically fitting to focus on at any given moment. The filmmakers clearly wanted to inject quiet moments of reflection on themes of fruitless crime and cyclical poverty, but they sacrifice some of that “ripped from the streets” energy to do so. While Gang Tapes came out first and undoubtedly influenced the making of Damon Russell’s film, Snow on tha Bluff vastly improves upon the “found footage in the hood” formula. 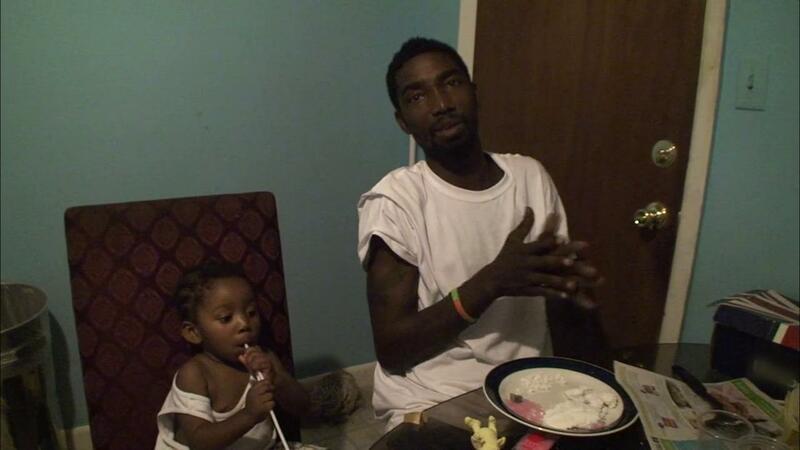 Aided in part by the personal, somewhat autobiographical touch of its leading man (who uses his real name in the film and actually lives in the Atlanta neighborhood), Snow on tha Bluff is pulled through by its unflinching honesty and commitment to documentation. It’s a huge step up from the cheap, faux-candid filmmaking and adherence to bland, paint-by-numbers story beats that was put on display by Gang Tapes. Tags: April 2015, Byron Bixler. Bookmark the permalink.